My eyes have become magnifying glasses! Image via KovacsUr via Wikimedia Commons. Would you think there is much of a learning curve to edit a book for someone who has a degree in English Literature and teaching experience? I even took special creative writing classes for two years at a magnet high school. But not once was it explained to me to make sure to maintain a character’s point of view, be careful of using “purple prose,” and avoid writing in a passive voice. I learned a ton when I began working with the editors on Harp Lessons. The knowledge I’ve gained makes me think I might try my hand at working as an editor. When I think about the way my first draft of Harp Lessons read when I first submitted it, I cringe and think how lucky I was that the readers at Astraea Press even saw potential in my story. Hmm, I think I should start looking for the cold splash of water to shock me into reality. All this editing has turned me into a different kind of reader and I hope that’s a good thing. But it’s also confusing. I read Michael Scott’s The Alchemyst before I first submitted Harp Lessons. Loved. It. It’s a wonderful modern adventure story with a blending of history and mythology. But I’m currently reading it through a second time and I’m editing as I go along. I never noticed the head hopping with point of view, or all the passive voice in that book before. And yet, The Achemyst is currently in a movie deal. Why is it that Mr. Scott could get away with it? Is it because it’s just that great a story (and it really is in my opinion) that it’s easy for a reader to overlook those faults? Is it because he’s got so much writing under his belt (since the ’80s), he’s figured out the secret to getting away with it? The trouble is, that it sets a bad example for us “newbie” authors who are trying to avoid those pitfalls in mechanics of the craft. Do you have the secret of why a more experienced author can break the “writing rules?” What writing mechanics bother you when you read? Yeah, probably won’t be in the book, but it feels nostalgic to write it anyway. Last Tuesday, I wrote two bitter-sweet words. The End. 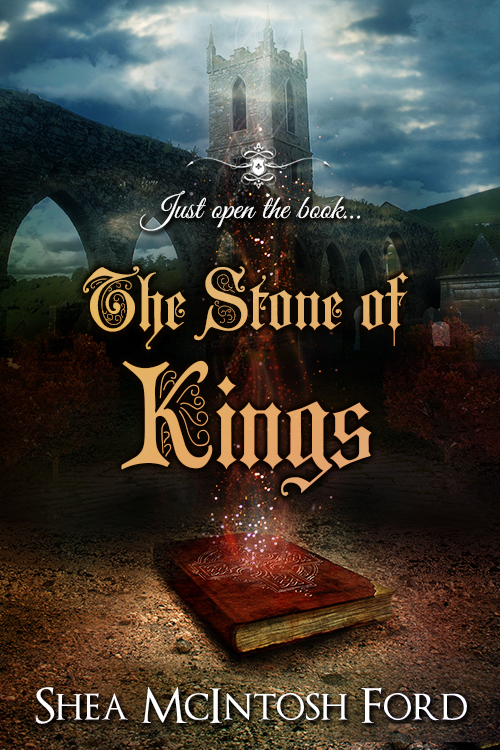 I’ve finished the first draft of The Stone of Kings. So now for the bitter part. The excitement of writing an adventure story is over. Yeah I’ve got other ideas for more books. But this one is finished. It’s strange how as a writer you come to care about your characters as if they were real people. 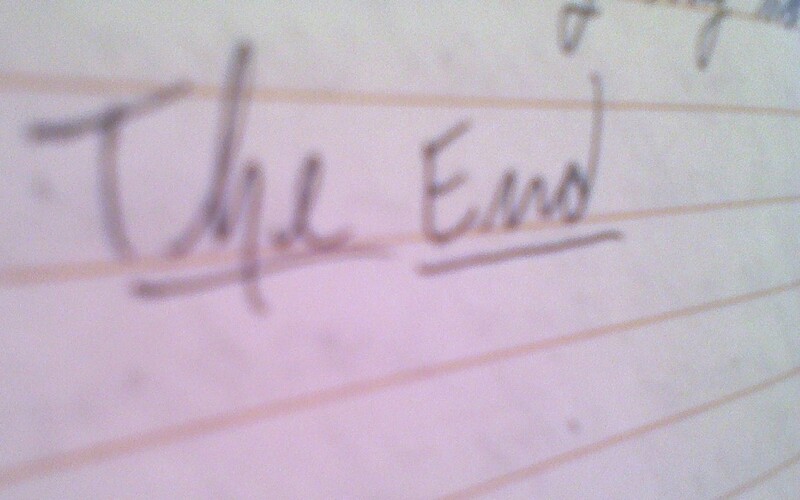 When I wrote ‘the end,’ it was as if I was writing ‘goodbye’ to them. Now I’ll be sending them off into the world to be edited, critiqued, and eventually appreciated post-publication. I hope my audience enjoys reading about them as much as I enjoyed writing about them. If you are a writer, do you feel the same way getting to the end of a book? When I was younger and had a lot more time on my hands, I would sometimes spend an entire day reading books. But because I could never quite make up my mind which one to read first, I’d set up a stack of about 5 or 6 on one side of my lap. Then I would read one chapter of each until they were all on the other side of my lap and I’d do the same all over again. My WIP has been working the same way. I’ve got a timeline going for my characters who are in 1715, and another for the ones who are in 2023. Except for the first few chapters, I’ve been pretty much switching back and forth between the two time periods with each new chapter. While I’m hoping that doing this helps to build the tension especially if I end the previous chapter with a cliffhanger, I’m wondering if writing this way is stalling my momentum. One author that comes to mind who writes in this manner is Michael Scott of The Secrets of the Immortal Nicholas Flamel series (which is a fantastic blending of history, mythology and modern adventure, by the way :D). I wonder if he wrote his story lines individually first, then mixed the chapters appropriately or if he wrote it they way I’ve been doing it. I guess it doesn’t matter too much as long as I get the writing done. I’ve been doing much better since the gluten is out of my system. I figured out what to do with Kells and now am a writing machine lately. Well…as much as I can be with 2 little boys that sometimes make me feel like an overworked waitress. 😉 But yesterday, I got 1300 words in the 4 hours that I’m allowed to have them in the YMCA play center. Yay! What do you think would work best for you? Would you write each plot line separately until the point that they meet and integrate the chapters appropriately? Or would you switch back and forth like me?